MR. CHANCELLOR, for over half a century, Uno Langmann has been a fixture of the Vancouver art and antiques community, and is renowned throughout Canada for his expertise and for his wide-ranging efforts to promote Canadian and international art. After immigrating to Vancouver from Denmark in 1955, Mr. Langmann went to work as a labourer, but continued his lifelong study of art and antiques. After gathering a sizable collection, he opened his first Vancouver gallery, The Cedar Cottage, in 1968. In 1977, he established Uno Langmann Limited Fine Arts in the South Granville district, and later Sotheby Parke Bernet, where he organized Vancouver’s first Sotheby’s art auction in 1979. Mr. Langmann is widely considered to be Canada’s foremost specialist in North American and European paintings from the 18th, 19th and early 20th centuries. He is also a much sought-after expert who has made numerous appearances on CBC television, sharing his insight on Canadian artists and on an eclectic array of international exhibitions. His gallery has hosted countless exhibitions, and he has long been a champion of under-recognized Canadian artists, including several of British Columbia’s now most prominent First Nations artists. He has also contributed to the development of collections across Canada and to guiding curatorial staff in professional activities. He has generously donated rare and precious works of art to various public galleries and institutions, including the University of British Columbia, where he has long served as a member of the Library Advisory Board. 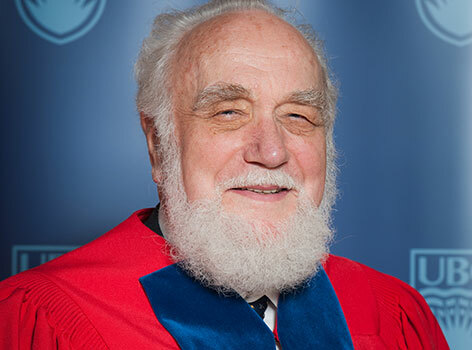 Mr. Chancellor, in recognition of his many lasting contributions to Vancouver’s fine art community, to Canadian artists and to art education in Canada, I ask you to confer the degree Doctor of Laws, honoris causa, upon UNO LANGMANN.